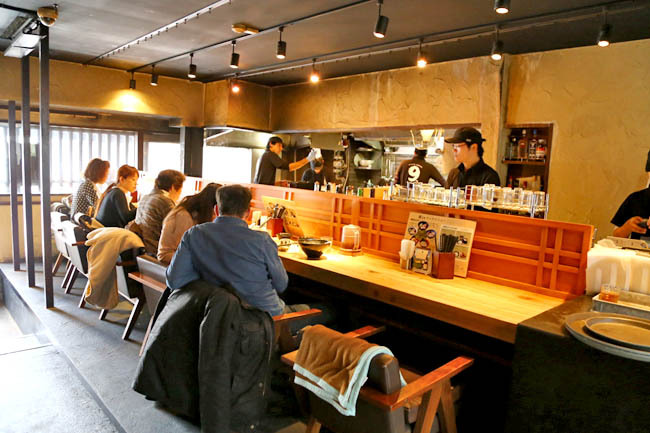 Best ramen in Kyoto, maybe even Japan. Friends may be surprised that I placed Gogyo even before my favourites Ichiran Ramen 一蘭 and Ippudo 博多一風堂. What? That is because Gogyo’s burnt ramen was the ONLY ONE who gave me a WOW I-am-not-going-to-forget-this sensation on that first sip of the broth. Truly memorable taste. Oh yes, the queue was about 40 minutes. 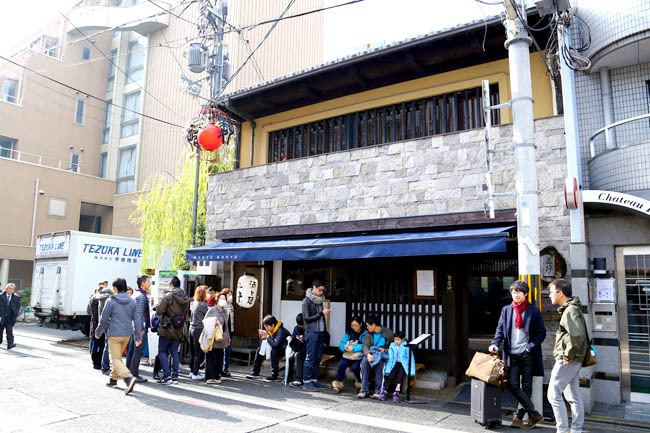 The line did not seem that long, but because it was a sit-down restaurant (not that common for ramen shops in Japan), people expectedly took their time to eat. Also, you couldn’t possibly gorge down that hot soup so fast. 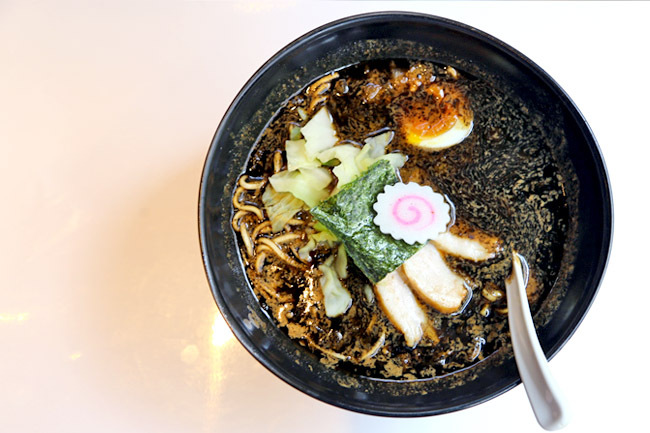 The Kogashi Miso Ramen (880 yen, SGD$9.90) arrived with a layer of black oil, specks of char, with a smokey aroma. Take your time to drink that very first spoonful – it was rich, full-flavoured, heavy, with taste permeating throughout. 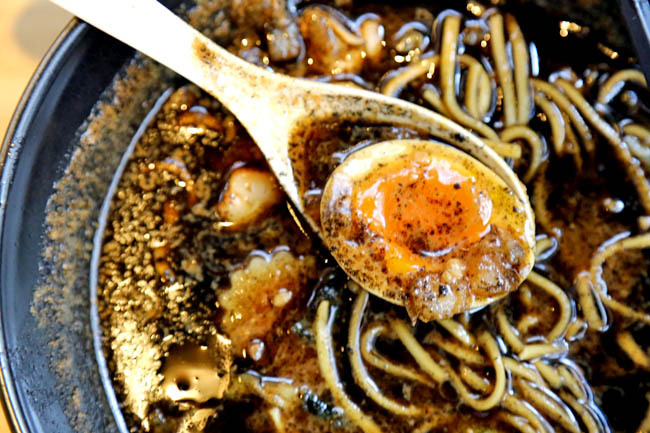 If there is something deserving of ‘extremely umami’, this would be it. Warning though, drink LOADS of tea and water, and take your time. I regret finishing the bowl a little too fast (had a train to catch), and ended up with a slight sore throat the next two days. The Kogashi Shoyu Ramen version (880 yen, SGD$9.90) was lighter, and felt more refreshing. Recommended for ‘newcomers’. 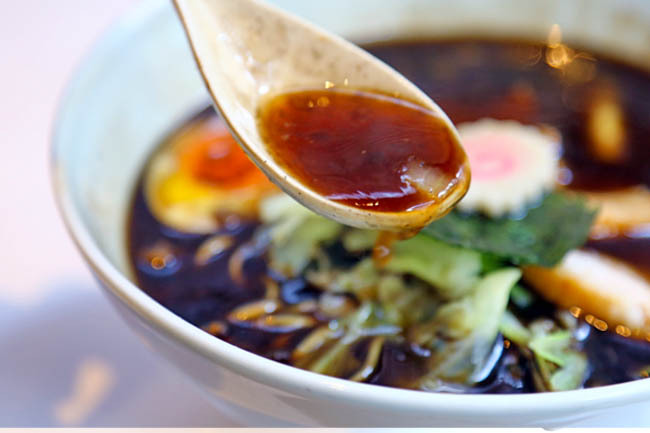 But if you want a rich rich rich soup broth, go for the Miso. The disclaimer I would add is, not everyone who like such a heavy taste. 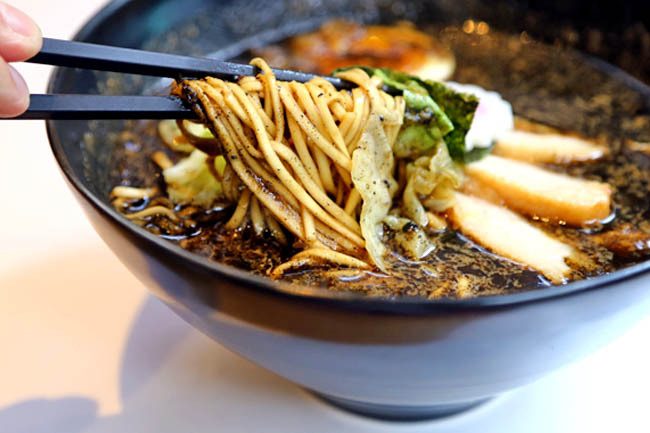 The other standard flavours such as Shoyu, Shio and Tsukemen are also available. 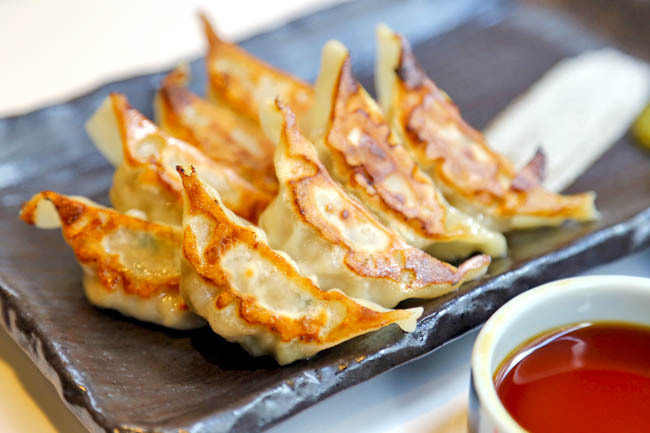 I thought that the gyoza, while also recommended by many reviewers, were just decent. The Kyoto branch of Gogyo is located at a former home of a geisha, thus take time to appreciate the traditional charm all around. 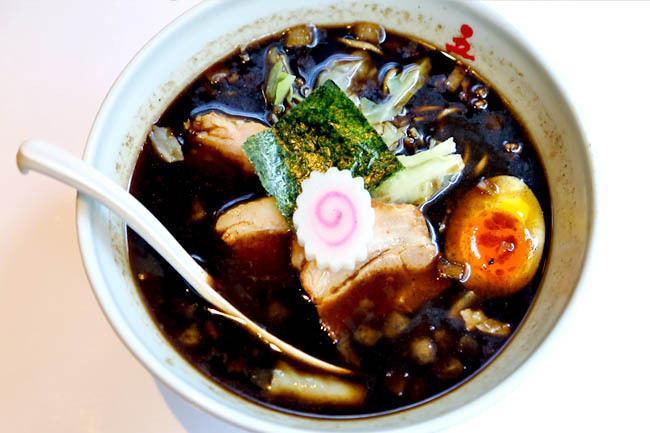 You can also find Gogyo at Nishiazabu Minato, though I hear that the Kyoto’s outlet is still the best.